Patrick and Hollie Quinn are like no other couple I have profiled in the six years I have published Conversations Magazine, and in many ways that is a shame. What the two of them have been able to do together is really remarkable, and I think as you get a snippet of their story in this interview you will see what I mean. I love learning new things and beginning to look at the world and the things in it differently. 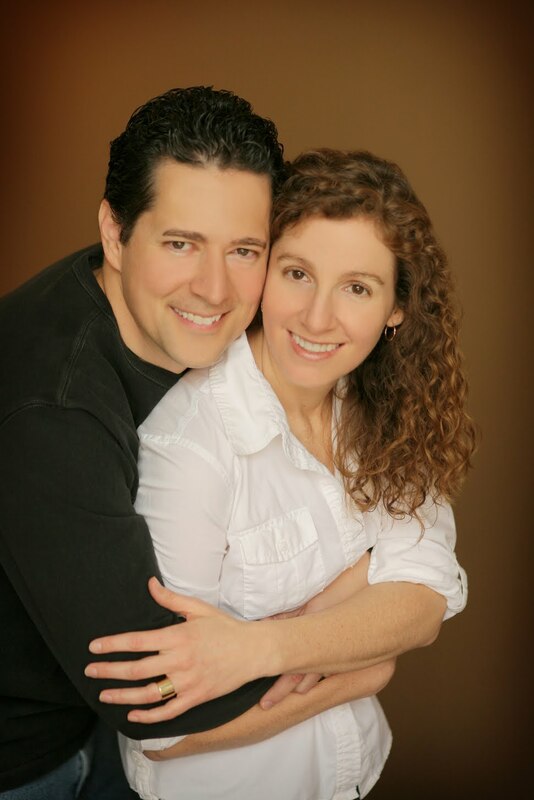 This couple caused me to do just that, and I think as we are looking for ways we can enhance our outlook of the world, you might be able to glean a thing or two from them as well. The lesson? How not to go to war with cancer but learn to be at peace with it. Sounds impossible? Thanks to the two of you for taking out time to talk with me. I enjoyed our conversation on the radio show,but i thought this would be a great follow-up. Hollie, you have definitely taken a different way of looking at cancer and what has happened to you. Tell our readers how your view of the disease has evolved now that you are a survivor. 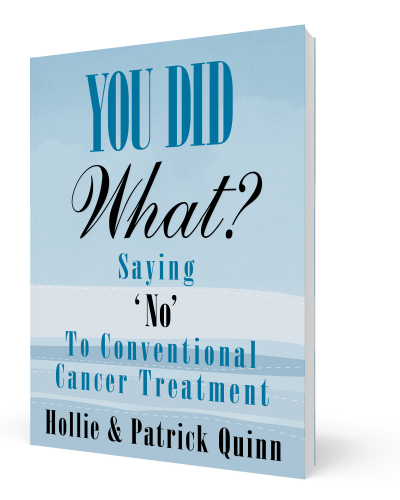 When I was diagnosed with cancer in 2002 at the age of 27, Patrick and I knew next-to-nothing about cancer, and even less about non-conventional medicine. Following an intense period of research, I came to realize that the science behind conventional-only treatments for breast cancer was weak at best. The treatments being recommended to me following my surgery (chemotherapy, radiation and hormone therapy) were part of the "standard of care," which is a one-size-fits-all, conveyor-belt approach to treating cancer. However, cancer is nothing if not unique, and I realized that I needed a customized treatment approach, and even more importantly one that would address the underlying reasons that my cancer developed in the first place. Conventional-only treatments don't do anything to deal with the source of cancer, and are in fact carcinogenic and mutagenic themselves. Unfortunately, there is so much information that is hidden from view, and this can have devastating consequences. For example, in some cases chemotherapy may be a necessary part of a treatment plan. But few patients know about (and few doctors will agree to) something called chemotherapy sensitivity testing, whereby one's cancer cells are tested against numerous chemotherapy drugs to see which ones will be effective and which will be ineffective. There is an excellent book devoted to this entire topic, including addressing the reasons why most doctors will not recommend or agree to this test. It is called Customized Cancer Treatment, by Dr. Ralph Moss, PhD., and it's the #1 book we recommend to anyone with cancer (more so than our own book!). I have come to realize that as patients, we need to stand up and demand smarter, safer, individualized medicine. Patrick and I believe that integrative medicine—as opposed to a conventional-only approach— is the way to get better patient outcomes and improve quality of life (the latter being a topic that gets virtually zero attention in the realm of extremely toxic conventional therapies like chemotherapy). "Citizen scientists" have done this before—for example, to protest unnecessarily destructive and over-used mastectomies—and with good results in bringing better practices to cancer treatment. We believe that we're in the midst of another epidemic of over-treatment with chemotherapy and radiation, so the time has come again for patients to demand something better. We're so grateful to have found what we think is a much better approach, and that's why we share our story. Patrick, you were not only having to think about losing your wife but you were a new father as well. Talk to the guys out there for a moment about how this struggle really affects the entire family. This was really the worst possible time for a cancer diagnosis. I don't recommend it! All kidding aside, I had a new bride, our first home together, and our first child on the way. Cancer couldn't have been farther from our minds. And as terrifying as the diagnosis is—everyone thinks the same thing immediately, "Is this the end? "—it turns out that this horrible fear of death isn't the worst part about having cancer. It's the treatments that are still, for the most part, and even in the 21st century, just as bad as the disease itself. I braced myself for what I thought would be the same experience for us as we'd heard about from so many others—devastating side effects from the treatments themselves that would bring Hollie to the brink of death, and would traumatize me and our new daughter for years to come. But we were going to be "brave," just like all the other "soldiers" in this so-called war on cancer. And then, this amazing thing happened. We found out you can declare peace on cancer. You don't have to go to war. You don't have to endure all that suffering, for the patient, and the caregivers and families alike. If I had one message for the guys and other caregivers out there, it would be this: Don't get 2 opinions. Get 6. Or 8. And make sure at least half of those are non-conventional cancer experts. This is your life that's at stake here. Don't settle for the conventional-only approach. Don't give in to being drafted into a war you didn't start. There's a better way. Hollie, you corrected me on something during the interview that helped me to think about cancer a little differently. I referred to the fight of the disease, but you have a different perspective of going to war with it. Share that with us. I have always been uneasy with the war language commonly used to describe the treatment and survival of people with cancer. The notion of waging war on myself seemed counter-intuitive to my goal of getting well again. Once I began to understand what cancer was—i.e. not some foreign invader but instead my own cells gone awry due to the failing of my immune system—I realized that I didn't want to battle or conquer my body. I instead wanted to identify the weaknesses and imbalances in my body, and heal those areas, while at the same time creating an internal environment that was inhospitable to the growth of cancer. The seemingly simple act of just changing the language used to describe my cancer from words like "kill" to words like "heal" instantly began to create the first feelings of calm for me after weeks of non-stop fear. One of our favorite integrative oncologists says it this way: We've become obsessed with finding (and destroying) the "seed" of cancer, but we do nothing to tend to the "soil" of cancer. That's the essence of my treatment approach—make the body inhospitable to cancer by creating a soil in which cancer cannot grow. In our view, this is a much more complete approach to cancer, and it's definitely safer than the toxic conventional-only options. Patrick, what do you hope readers will take away not just from your personal story but the book You Did What?, as well when they begin thinking about what is possible in their own lives? The thing that stands out to me the most, from our entire experience over the past decade, is that Hollie has said she's no longer afraid of cancer. That's amazing to me. And the reason for this is that she has treated the "soil" of her cancer, and in doing so has made her body bio-chemically inhospitable to cancer. It's curing cancer in 100 ways, from every product you put on your body, to every morsel you put in your mouth, to the way you manage stress. And it doesn't result in collateral damage or side effects, but rather just the opposite—collateral health benefits. (Hollie cured all sorts of other ailments during her integrative cancer treatment.) It's been a beautiful thing to watch, and I'm so honored to be married to a woman who has helped to blaze a trail to smarter, safer cancer treatments. I think more and more people with cancer will be inspired to move in the same direction, and that's when we'll reach a tipping point to where all cancer treatment will integrative, and complete. What motivates me to share our story every day is the idea that in doing so we could help inspire even just a few people to reach for a better way to treat cancer. That's my hope. I believe every author hope their words will be accepted and able to affect the lives of the reader. Hollie, what about you? What do you hope people take away from the book? My main purpose in writing this book was to show people that, contrary to what they may be told by their doctors, they do in fact have a choice when it comes to the treatment of cancer. So much of the initial fear that enveloped my world following my diagnosis was due to the fact that I felt helpless, and that I had no say when it came to how I would get well again. I was told repeatedly by the dozens of conventionalonly doctors that I met with that I had to undergo aggressive chemotherapy, radiation, and hormone therapy, or else I would die. It was presented to me as my only option, and yet it made no sense to me once I began to study the research deeply. It also felt wrong to me on an intuitive level. Once I realized that there were indeed some scientifically valid integrative treatment options available, and ones that resonated with me, I experienced a tremendous exhilaration because I no longer felt helpless. In our mission to share our story, we're trying to shed light on smarter, safer treatments. It's my hope that our readers will hear the central message of our book, and of my story—you do have choices when it comes to getting well again. Thanks again to the both of you, and congrats on what you are doing to raise awareness about the alternatives out there. How can our readers stay in contact with you online and get their copy of the book?